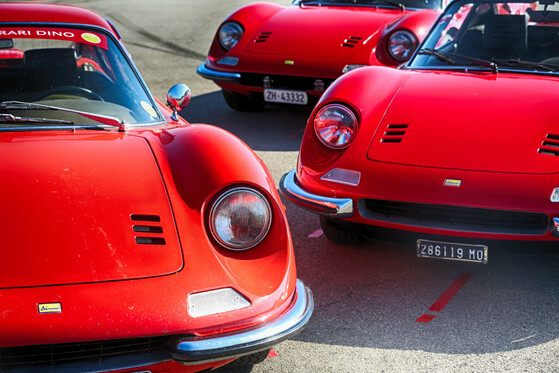 On Saturday, June 30, Ferrari commemorated the 50th anniversary of its Dino model by inviting owners of the car to a special meet-up and photo shoot in Maranello, Italy. While the true 50th anniversary was technically in 2017, Ferrari postponed the event until now so it wouldn't be overshadowed by the brand's larger 70th year celebration. 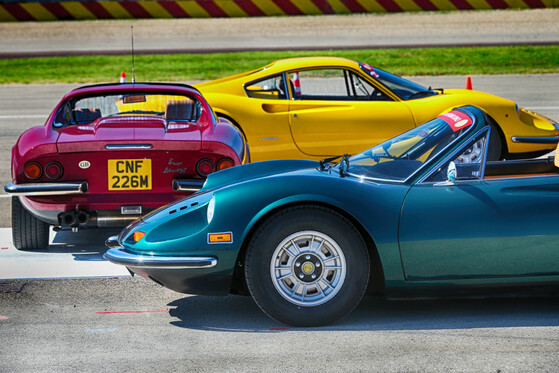 The Dino, named after Enzo Ferrari's eldest son, was conceived as a sort of "budget" Ferrari model. Instead of the Colombo V-12 that Ferraris were known for at the time, the Dino was fitted with a smaller displacement mid-mounted V-6. Although manufactured by Ferrari, the car only carried badges branding it as Dino. The original model was manufactured from 1968 to 1974, and the Dino name went on to be applied to a 308 variant for a few years after. The Dino's lower price-point made it a popular seller for Ferrari, but it never really carried the prestige of the more expensive models. While cars like the Ferrari 250 would only increase in value, Dino prices remained stagnant for decades after its introduction. It's only in the past few years that enthusiasts have showed a renewed appreciation for the Dino, and recent auctions of the car have reflected that. 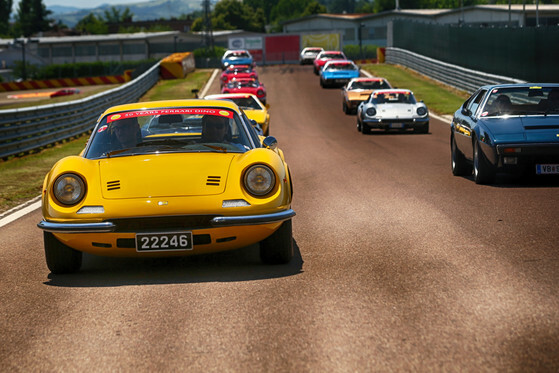 Noticing this new enthusiasm for the car, Ferrari invited Dino owners out to its Fiorano test track in Maranello. 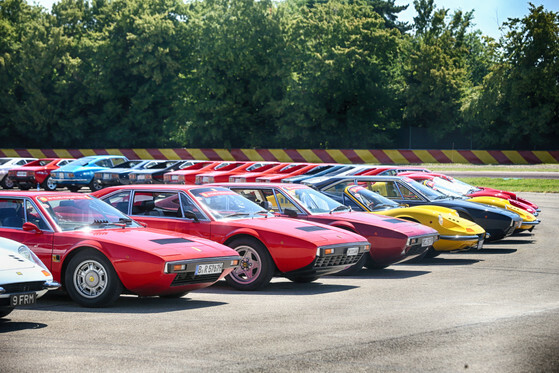 All in all, more than 150 cars showed up, and they were all carefully arranged for a photo that spelled out "50 Dino Anni." The owners also got to cruise around the track, and take a Ferrari factory tour. At the end of the day, spectators watched as the dozens of Dinos left the track in parade formation. This 250 GTO is expected to smash public auction records at RM Sotheby's Monterey auction. With a thumping V-12 engine and 789 ponies to spare, the 812 Superfast can drift for days.